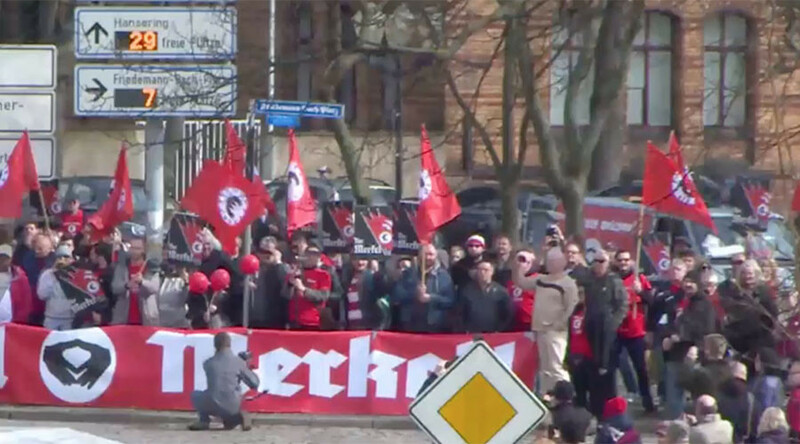 Protesters in the eastern German city of Halle set up a giant anti-Merkel banner and were shouting “Heil Merkel!” as Chancellor Angela Merkel arrived to visit the National Academy for Science. The protesters carried large red banners and flags, saying “Heil Merkel!” and bearing a logo showing two hands pressed together in a “diamond” – Merkel’s distinctive gesture. Protesters were also heard loudly chanting the same provocative slogan as the chancellor’s car arrived at Germany’s Leopoldina National Academy for Science. 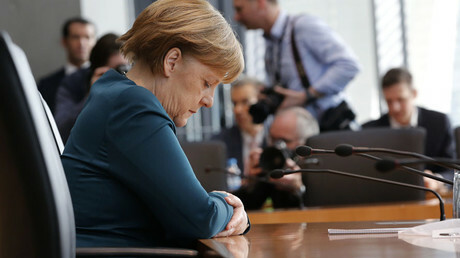 Merkel appeared oblivious to the clamor. At the academy, the chancellor was handed a statement drawn up by heads of national academies of the 20 leading economies, which have been calling for improving global healthcare ahead of the G20 summit in Hamburg. “As presidents of national academies and representatives of your countries, you are building bridges,” Merkel said, noting that it was especially important that the statement could be understood by ordinary people, not just scientists. This is not the first time that Merkel’s critics have attempted to take a swipe at the politician by comparing her to infamous Nazi leader Adolf Hitler. Merkel recently said that “these comparisons of Germany with Nazism must stop. […] We will not allow the victims of the Nazis to be trivialized,” while addressing the Bundestag on March 9. The diplomatic row with Turkey comes as Erdogan is making huge efforts to gain “yes” votes in April’s referendum that may significantly extend his powers. The spat escalated after some German cities banned political rallies for Turkish communities that were expected to be held by Erdogan’s ministers. 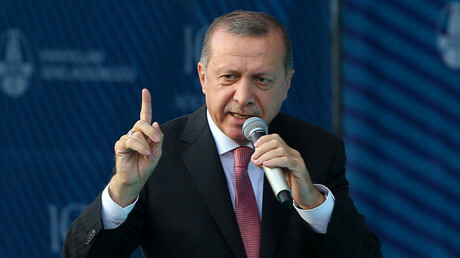 Should Erdogan receive enough “Yes” votes in the referendum, he will assume the power to issue decrees, declare emergency rule, appoint ministers and state officials, and dissolve parliament. Critics, including those in Germany, have been saying that a “Yes” vote in the referendum would abolish the country’s system of checks and balances.